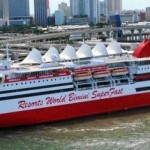 Lots of great places to eat near Port Everglades. Clean Plate Charlie is the restaurant critic for the Broward/Palm Beach New Times, our local free weekly newspaper. He’s on a mission this year to find the Top 10 places in the county for all the foods you love: burgers, tacos, wings, ribs, Cuban sandwiches, Chinese, Thai and sushi. Best Burgers. Each of these establishments is a sit-down restaurant. Both Gilbert’s 17th Street Grill (#6) and Tap 42 (#7) are within a few miles of the Port. Gilbert’s burgers cost $9-$12. At Tap 42, all burgers are $5 on Mondays. Best Tacos. Great deals at both places. B.C. Café (#5), west of Port Everglades in Davie, offers tacos for $4 during lunch and dinner. At breakfast, they’re only $3. Rocco’s Tacos (#10), in downtown Fort Lauderdale, charges around $4 each for takeout tacos. Best Chicken Wings. Two local chains made the Top 10. Flanigan’s Seafood Bar and Grill (#10), with more than 20 south Florida locations, has 10 wings for $9.99. Closest location is Davie, on University Drive. Anthony’s Coal Fired Pizza (#2) cooks their wings in caramelized onions and rosemary. They’re on 17th Street near the Port. Best Ribs. Located on Federal Highway just north of the Port, Tom Jenkins Bar-B-Que (#2) is one of the best barbecue joints in town. They’ve been around since 1990. Quarterdeck (#10), north of the Port on Las Olas Boulevard, is part of a local five-location chain. Great spot right near the beach. Best Cuban Sandwich. Both of the closest places with great Cuban sandwiches are on Oakland Park Drive north of the Port. Las Vegas Cuban Cuisine (#4) is closer. The family-owned chain operates 13 Cuban restaurants in south Florida. Don Carlin Restaurant (#7) is further west, but they bake their own bread in-house so the trip is worth it. Best Chinese. Distinct differences between these two places. Pine Court Chinese Bistro (#2) offers one of the best dim sum experiences in south Florida. It’s west of Port Everglades in Sunrise. Christina Wan’s Mandarin House (#6), located on Federal Avenue north of Port Everglades, has been open since 1966. It’s on the expensive side. Best Thai. Love a good Pad Thai! Sukhothai (#5) serves Pad Thai for $13.95. Located on Sunrise Boulevard north of Port Everglades, this family-owned business has been around more than 20 years. Coco Asian Bistro and Bar (#7), on 17th Street close Port Everglades, offers Pad Thai for $17. In addition to traditional Thai, the restaurant also specializes in sushi and Asian fusion. Best Sushi. The top-ranked sushi house in the area is in downtown Fort Lauderdale. Be ready, Sushi Rock Las Olas (#1) is a bit pricey. For take-home sushi, you can’t beat Sushi-One Takeout (#5). It’s on Federal Highway just north of downtown. Coco Asian Bistro and Bar (#7), a Top 10 Thai place, also made the Top 10 Sushi list. That’s our list of the best food near Port Everglades. Click on the article for a map that contains each location. Click on each featured restaurant for their menu. 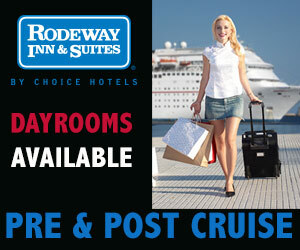 All of the restaurants we’ve highlighted are within 20 minutes of Port Everglades. Enjoy!